The picture of the day is the Blessing of the CAP Middle East Region Aircraft Fleet Ceremony conducted by a Catholic Priest on April 24th 2016. “Father Jan Dolny, a Roman Catholic priest from the Central Virginia Catholic Cluster, sprinkles holy water on one of the many Civil Air Patrol aircraft on the ramp at Blackstone Army Airfield. Beside him is Chaplain, Lt Col Timothy Miner, acting Virginia Wing chaplain and organizer of CAP’s first Blessing of the Fleet ceremony,” according to the CAP Volunteer magazine. The Civil Air Patrol has a non-denominational Chaplain program that is supposed to serve without prejudice and to be respectful to other faiths. Chaplains are required to be respectful of people from all faiths and those with no faith allegiance, especially in a secular or pluralistic setting. We received this picture and comment today. Thank you for your contribution. 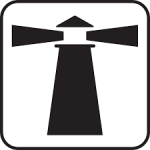 6 Comments on "AuxBeacon Picture of the Day No. 2"
The Civil Air Patrol people are throwing up the same stone walls as the Roman Catholics. This CrAP brainwashing really creeps me out. CAP cadets wind up scarred for life when they finally discover the truth on how they were screwed with to preserve some bone-head’s authority. An angry former CAP cadet posted this on her facebook page. Not sure if it is a story you would do, but we left after having very bad experiences with over-zealous Christian parent commanders in Civil Air Patrol in our wing. “Counterfeit Christians in the Armed forces will appeal to the Constitution, and not Christ, and they have no local church home—which means they have no accountability for their souls (Heb. 13:17). This is why so many professing Christian service members will say: We ‘support everyone’s right’ to practice their faith regardless if they worship a god different from ours because the Constitution protects this right. There were actually 3 chaplains present, and only one was a Catholic priest. The other one shown in the picture is a Protestant chaplain. And the blessing itself, which has been published for all to see, is quite non-denominational. 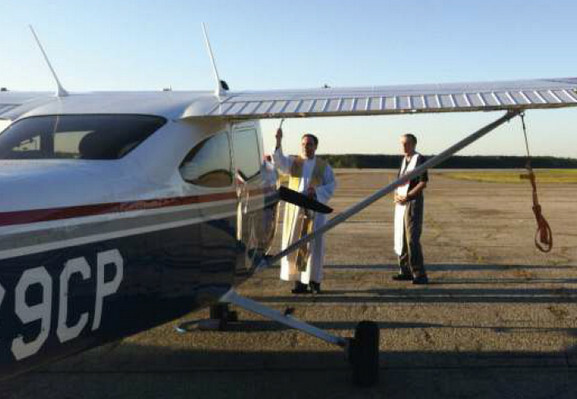 Recent news shows that the Civil Air Patrol has another practice in common with the Catholic Church. Holy waters in flight, Batman! Faith-based Aircraft Maintenance?